With only a few ingredients you can make a real Mega Power Drink yourself. The ginger turmeric power drink with lemon, black pepper, coconut oil and water. Ginger is vitalizing, stimulates the blood circulation, has an anti-inflammatory and antibiotic effect and strengthens the immune system. 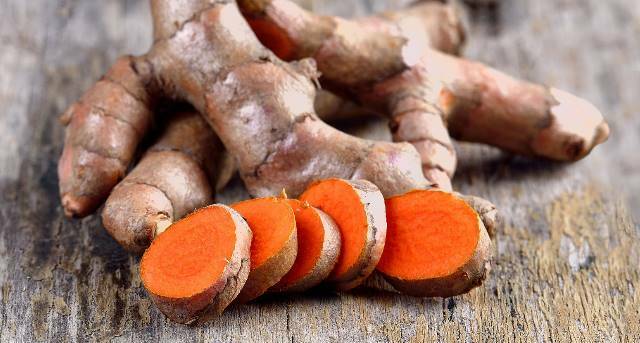 Turmeric is said to be anticarcinogenic, antioxidant and anti-inflammatory. The sharp root originates in Asia, most likely in Sri Lanka. The ginger rhizome (Zingiberis rhizomaalso called ginger rootstock) is very often used as a spice. Ginger is also called Ingber, Imber, Zingiber officinale or ginger root. Since this is so extensive, the application of ginger as a healing plant is described on a detail page. The turmeric root resembles the ginger, but is very yellow (and caution: the yellow colors intensely!). The origin of turmeric is no longer none, but it is presumed to have its origin in Southeast Asia or South Asia, where it has been used for centuries as a remedy. Turmeric is anti-inflammatory, helps against rheumatism, headaches, gastrointestinal problems and protects against free radicals. Turmeric has many names such as Curcuma, Curcume, Yellow Ginger, Babylonian Safran, Indian Safran, Curcurma domestica Valeton, Tumerik, Turmarik and the binomial name is Curcuma longa. Since this is so extensive, the use of turmeric as a healing plant is described on a detail page. 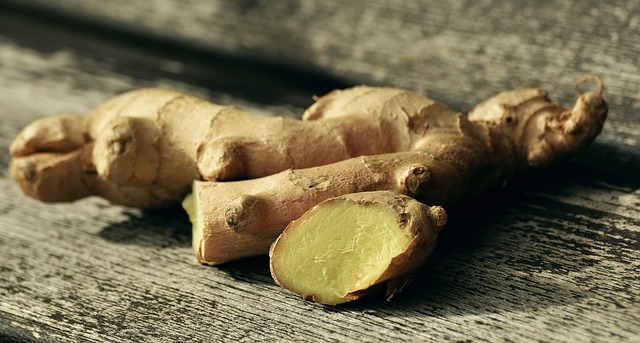 Wash the ginger and turmeric roots, reduce the ginger slightly and add both to a blender. Add the juice of the lemon, the black pepper, coconut oil and water as desired (about 7 dl). Close the mixer well and mix for about 1 minute. Pass the content through a sieve and collect the juice with a bowl and then fill it with a funnel into a bottle. Take a few sips several times every day. Keeps in the refrigerator for a few days. Note: Since the curcumin contained in the turmeric is not readily soluble in water, some oil is added – the coconut oil can also be replaced by other oil. The black pepper is not added to make the drink spicier (it’s already hot enough), but to increase the bioavailability of curcumin and the absorption capacity in the intestines. Caution: The turmeric gives off an intense yellow color, be careful when making the juice and then wash the utensil!